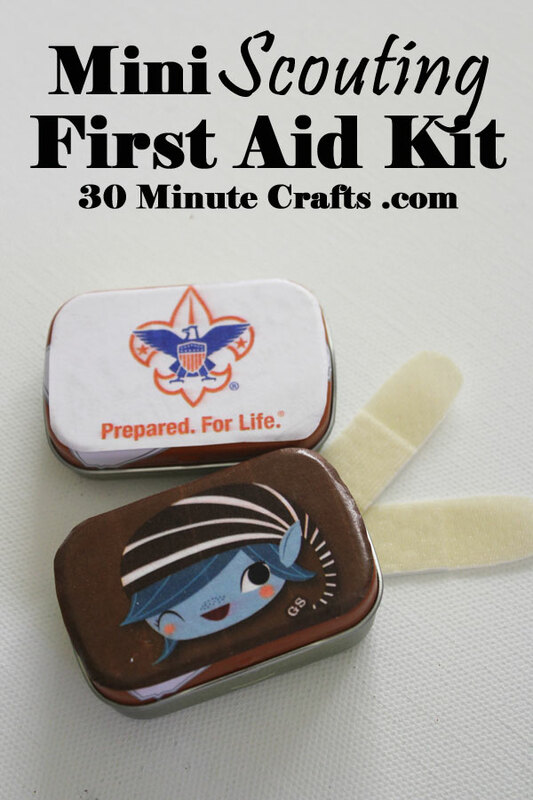 When I was a Girl Scout, we made mini first aid kits in film containers. 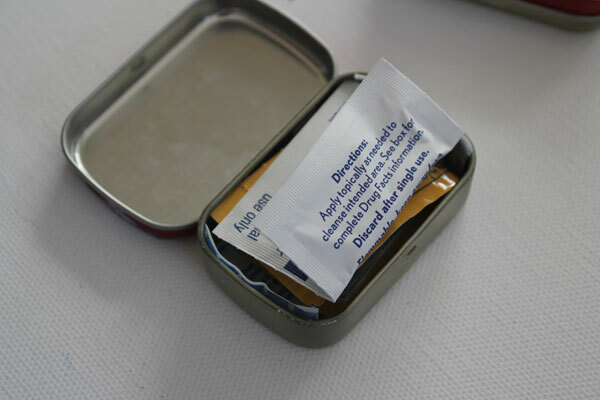 With digital photography taking over, film containers are hard to come by, but mini mint tins make for perfect mini first aid kits that you can slip in a backpack, or even your pocket! 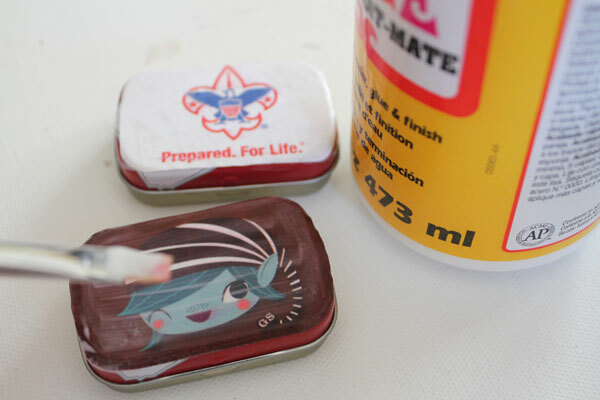 This Scout Craft is part of Craft Lightning Week. All week long, my crafty co-hosts Angie from The Country Chic Cottage and Laura from Me and My Inklings, along with our crafty friends here on the internet, are sharing scout-related crafts! Check out their fun ideas at the bottom of this post. This craft project is a requirement in both the Brownie and Wolf Cub Scout handbooks, so you’ll be making a cute craft, a useful item, and checking off a requirement all at once! Make a copy of your scouting design. I used the brownie on the front of the brownie handbook shrunk down to 75%, and the scout logo in the handbook, increased to 125%. 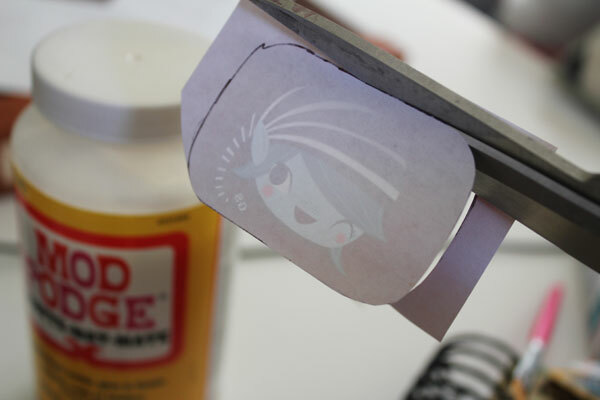 Trace the lid of the tin, then cut out. 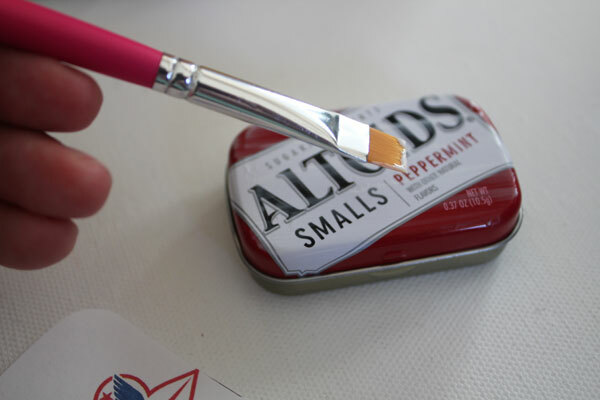 Paint a thin layer of Mod Podge on top of the tin. Place the paper on top. Smooth down. Allow to dry, then put the supplies inside. You can fit two or three bandages, neosporin, and an alcohol wipe folded in half. 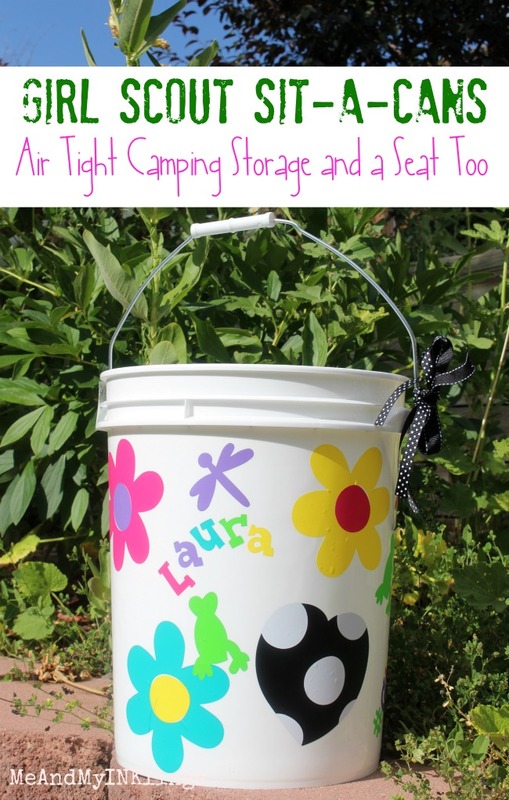 Check out these other great Scout Craft ideas! 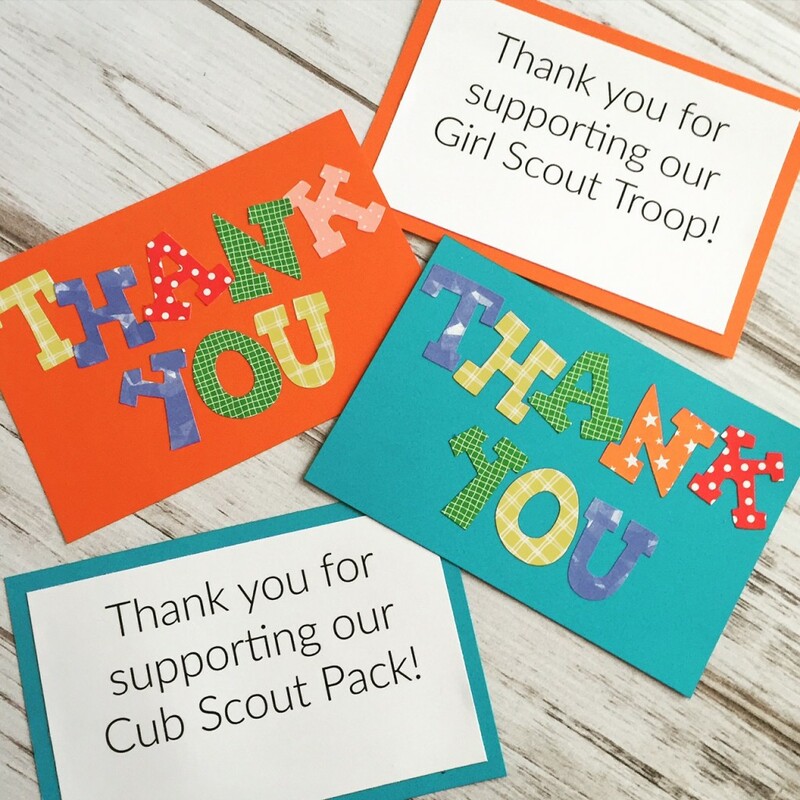 Kara from Happy Go Lucky made these scout thank-you notes. 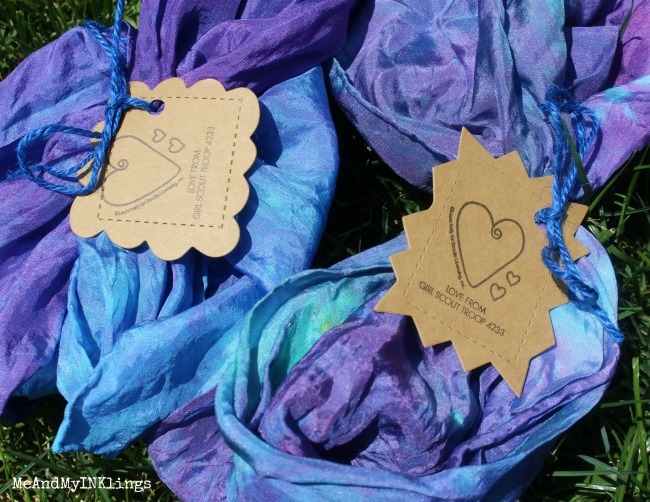 These tie-dye silk scarves that Laura at Housewife Hellraiser made make great thank-you gifts for volunteers. 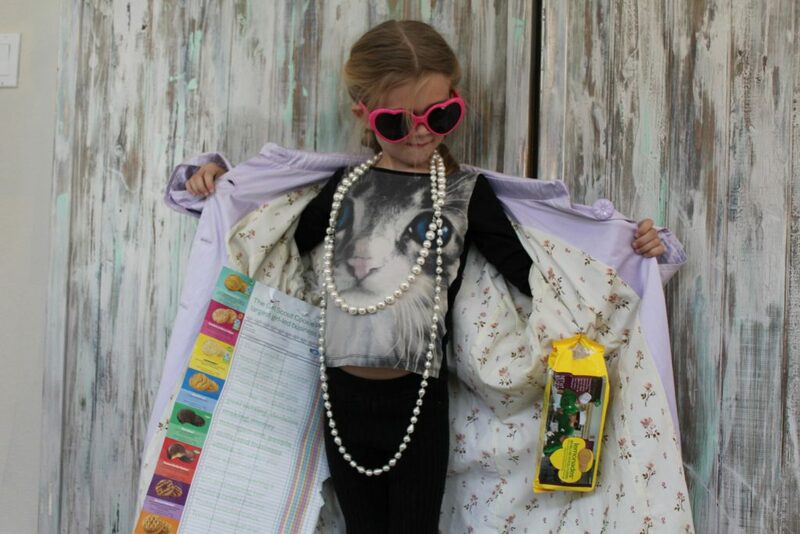 How fun is this “cookie pusher” trenchcoat that Christie from Ritzy Parties thought up! You could switch this up for a popcorn-coat if your Cub Scout Pack participates in Popcorn sales. 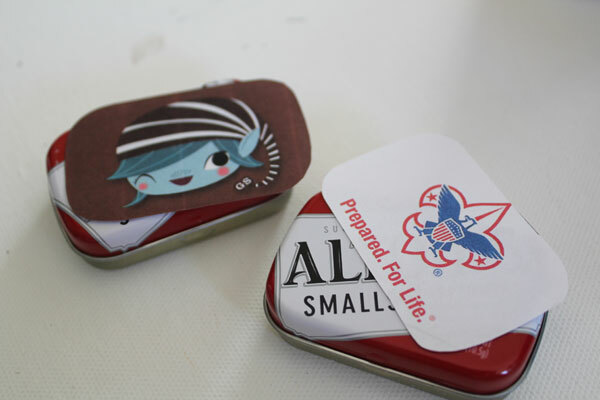 And Laura from Me and My Inklings made these great sit-a-cans, a fun twist on the Girl Scout “Sit Upon”! Check back tomorrow for more great scouting craft ideas! These are awesome sauce. We are totally making these in our troop!!! 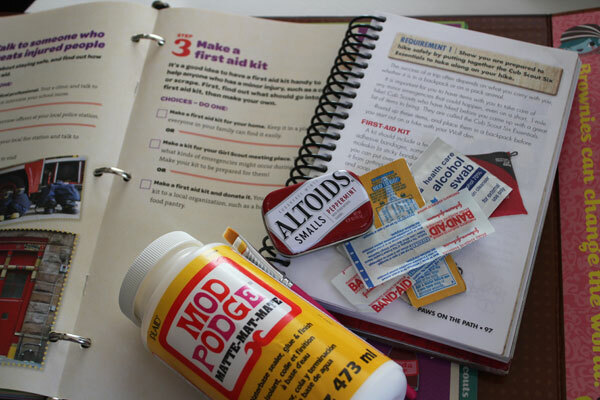 where did you find the Neosporin packets, or did you buy them in bulk? I just found them at the drugstore. Maybe call around – drugstores, Target, Walmart… someone should have them.